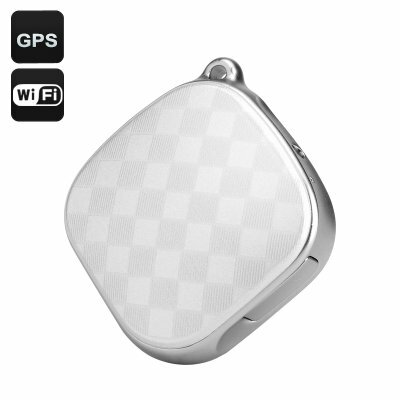 Successfully Added GPS Tracker + Locator - GSM, LBS, Wi-Fi, Real Time Tracking, Geo Fence, Emergency Call, Dual Audio (White) to your Shopping Cart. Protect your loved ones and keep any eye on valuables — all with one simple device with impressive tracking powers. This compact tracker is equipped with GSM capabilities, smartphone support and achieves accurate positioning with GPS and LBS tracking. With Real Time Tracking, Geo Fence and More this top of the range tracker is a great help. If you lose things way too often, then this little gadget is just about to change your life. Coming with GPS and LBS tracking, it can accurately position your lost items and efficiently report their location to you. Attach the tracker to your smartphone, house + car keys or other valuables. More importantly, the GPS tracker can be an efficient tool to protect your loved ones. Put in your kid’s backpack and you will be able to know the correct position of your child at any time. With two-way communication and GSM support, you will be able to communicate with your child as well, and the emergency button is there as a quick way to call for help. Geo fence is a nice security feature that lets you set “borders” for your child’s route — and should he or she cross any of them, you will be instantly alerted. You can also use the GPS gadget to keep track of your pets. The tracker is really small and can be easily attached to your pet’s collar. Then you can easily see what your pet is up to, set the geo fence and get alerts if they wander off. With Android and iOS support, you can use your smartphone to get all the updates. The GPS, LBS + Wi-Fi Tracker comes with a 12 months warranty, brought to you by the leader in electronic devices as well as wholesale GPS trackers..